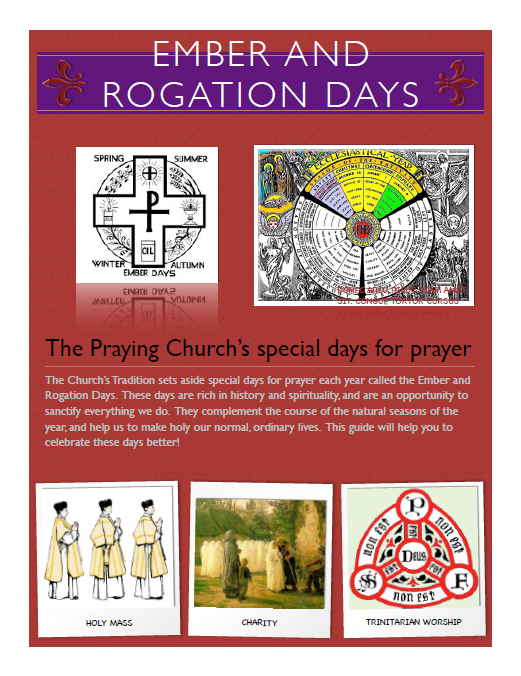 Last Friday was April 25th and the annual Major Rogation Day. 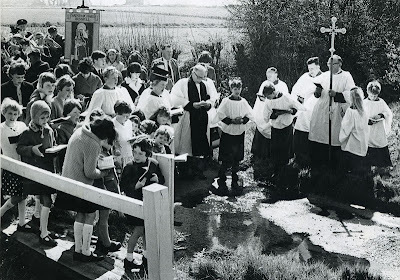 I posted about the day and usually post reminders for the Major Rogation, the Minor Rogation Days, and the Ember Days which occur each season. 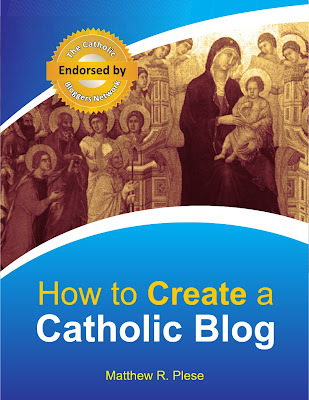 I wish to provide a truly wonderful resource for you on the subject of these days in the Traditional Catholic Liturgical Year. Fr Christopher Smith, a priest of the Diocese of Charleston, South Carolina has put together a truly beautiful and excellent illustrated guide explaining both the Rogations and Ember Days, with a number of very useful quotes from various liturgical sources. It can be downloaded from dropbox. When the announcement was made on September 30, 2013, that Pope John XXIII was going to be canonized, glaring eyebrows went up in the Traditionalist camp. After all, saints are usually martyr figures that are persecuted for their uncompromising fidelity to the Faith, and Pope John is generally regarded as the flaming modernist who compromised the Church by convoking the Second Vatican Council on October 11, 1962. 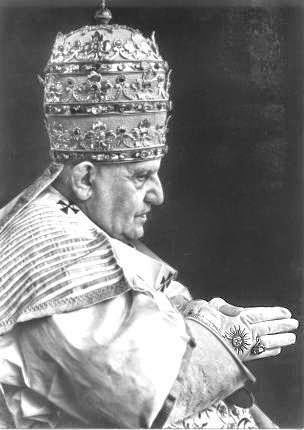 There is no disputing the disaster wrought by Vatican II and how it set into motion an insidious departure from tradition that has left the Holy City “half in ruins.” Even as we report on the canonization of John XXIII, the gale force of “his” conciliar tempest continues to uproot the Faith, blow apart revered Catholic practices, topple the Church's edifice, and spread doctrinal debris throughout the Church. So why the tribute? Should his “aggiornamento” be rewarded this way? Pope John deserves tribute, but it’s important that people see his canonization in the right light and that they have the inside scoop on his true intentions for Vatican II, otherwise it will appear that heresy and modernism are being glorified. For he is known as the founding father of Vatican II, which is why modernists are now beaming over the prospect of his canonization, because their hope is to see Vatican II “canonized.” But the good Lord has His own reasons for glorifying His servant John, as we will see shortly. Without diluting the Faith, the pope was simply trying to adopt a more effective means of projecting the orthodox Faith to the modern world. His “update” did not include the watering down of doctrine or the alteration of liturgy, but consisted in utilizing the media and state-of-the-art technology to better project the light of tradition to a spiritually darkened world. To this end he and his best men worked arduously for almost three years to draft up the outline for the Second Vatican Council, known as the 72 schemas or schemata. According to the most conservative thinkers of Rome, the preparatory schemata were orthodox and worthy of use, but modernists were enraged that the Holy Father had put together the preparatory outline without conferring with them beforehand. Hence a decision was made before the Council to block Pope John’s plan for Vatican II. According to Michael Davies and many others, a number of "suspect theologians" hijacked the opening session of the Council by seizing control of its drafting commissions, thus enabling them to scrap Pope John's plan and draft a new agenda of their own. A key instigator of the pack was Fr. Edward Schillebeeckx of the Netherlands, a known heretic who denied the historicity of the Virgin Birth, the Resurrection, and the Eucharist (Transubstantiation), and who had drafted and disseminated a 480-page critique aimed at rallying the progressive “Rhine bishops” to reject the original plan for Vatican II. The design of these progressivists was to revive Luther’s Reformation under the pretext of a renewal, something that Schillebeeckx openly confessed to. Pope Benedict himself pointed out in 2013 how a “virtual council” had risen up to usurp the “real Council” at Vatican II, and lamented how “it created so many disasters, so many problems, so much suffering: seminaries closed, convents closed, banal liturgy.” (Benedict XVI, addressing the parish churches of Rome, February 14, 2013) This echoes the words of Paul VI who stated that the good efforts at Vatican II were hampered by “the devil” who came along “to suffocate the fruits of the Ecumenical Council.” (June 29, 1972) Hence it is worth recounting the opening session so that we have a clearer perspective of what really took place at the Second Vatican Council. In his February 14, 2013, address to the clergy of Rome, Pope Benedict brilliantly recounts this incident at Vatican II: “On the programme for this first day were the elections of the Commissions, and lists of names had been prepared, in what was intended to be an impartial manner, and these lists were put to the vote. But right away the Fathers said: 'No, we do not simply want to vote for pre-prepared lists. We are the subject.' Then, it was necessary to postpone the elections, because the Fathers themselves…wanted to prepare the lists themselves. And so it was. Cardinal Liénart of Lille and Cardinal Frings of Cologne had said publicly: no, not this way. We want to make our own lists and elect our own candidates." The above statement is of no small significance. Herein Benedict confesses that Lienart and his clique rejected the list of candidates that John XXIII had rightfully approved in an “impartial manner,” so that they in turn could create their own list and elect their own candidates in a partial manner. And that’s exactly what they did! When the "election" resumed, a number of radical theologians were then appointed to chair the commissions, including Hans Kung, Karl Rahner, de Lubac, Schillebeeckx and others whose writings had been blacklisted under Pius XII. The liberals now occupied nearly 60% of the seats, giving them the needed power to steer the Council in their direction. Thereupon they proceeded to trash the pope’s carefully prepared agenda that had taken nearly three years to formulate. 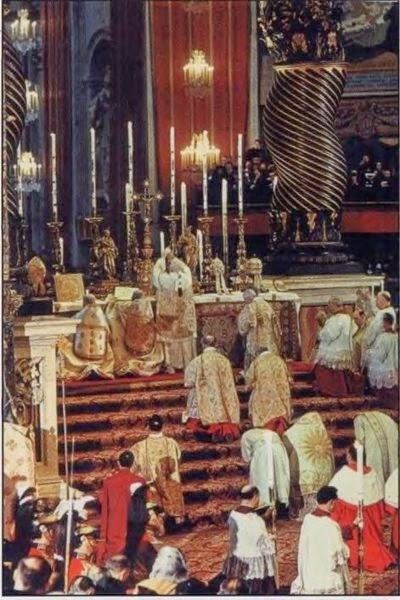 Through deceitful promises and skillful use of the media, the Council approved their plan for a new Mass on December 7, 1962, known as the “Constitution on the Sacred Liturgy,” and this became the hub of the liturgical reform that was to set the Church on a new revolutionary course of change. The Constitution was principally the work of the infamous Annibale Bugnini whom the pope had earlier removed from two posts because of sinister activity. It in fact was the outgrowth of the one preparatory schema, drafted by Bugnini, which Vatican liberals had spared because of its designs for a new Mass. Note that Bugnini, and not the pope, was the author of the New Mass. The pope, fearing a tumult, backed down and consented to let the Rhine fathers have their way against game rules. Though he had planned it differently, his strength failed him at this point, thus allowing the pirates of reform to wrest the Council from his hands. Hence the most meticulous and painstaking preparation ever undertaken for any council of Church history was suddenly dumped to the glee of this Council confederacy. Only the liturgical schema remained. It is said that the pope was struck to the heart, and in great pain, so that the cancer he had earlier contracted was greatly augmented now, leaving him only eight months to live. On his deathbed he cried out: “Stop the Council, Stop the Council,” but his “trusty” aides made sure that this didn’t circulate to the other cardinals. The Council was already too well advanced, the liberals had put too much stock in their revolution, so they weren’t about to give up their fun at this point. Pope John certainly made some mistakes, he wasn’t perfect. Perhaps the biggest mistake he made was to convoke the Second Vatican Council, since it provided an opening for the hidden enemy to infiltrate the Church. 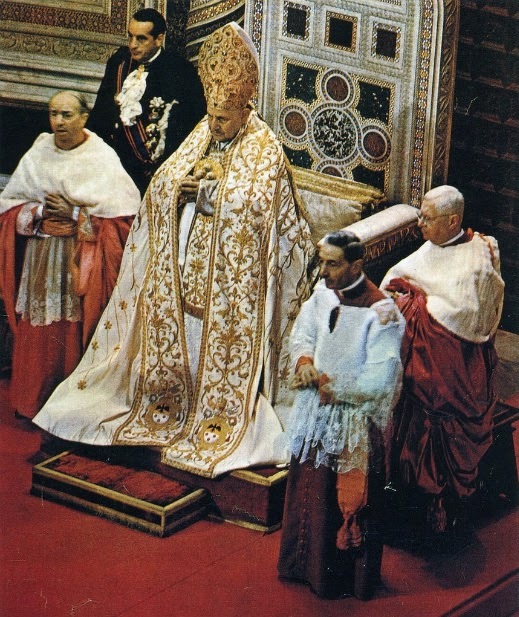 According to Pope Paul VI, the Council of Vatican II was that “fissure” through which “the smoke of satan entered into the temple of God.” (June 29, 1972) Even the future Pope Paul was alarmed when he learned in January 1959 that Pope John had announced the upcoming Council, to which he responded: “This holy old boy doesn’t realize what a hornet’s nest he’s stirring up!” Clearly he didn’t realize it. Nay, the calling of Vatican II wasn’t too smart, but was a huge blunder which showed poor judgment and terrible foresight. We might even say the pope was playing Russian roulette with the Church, literally. 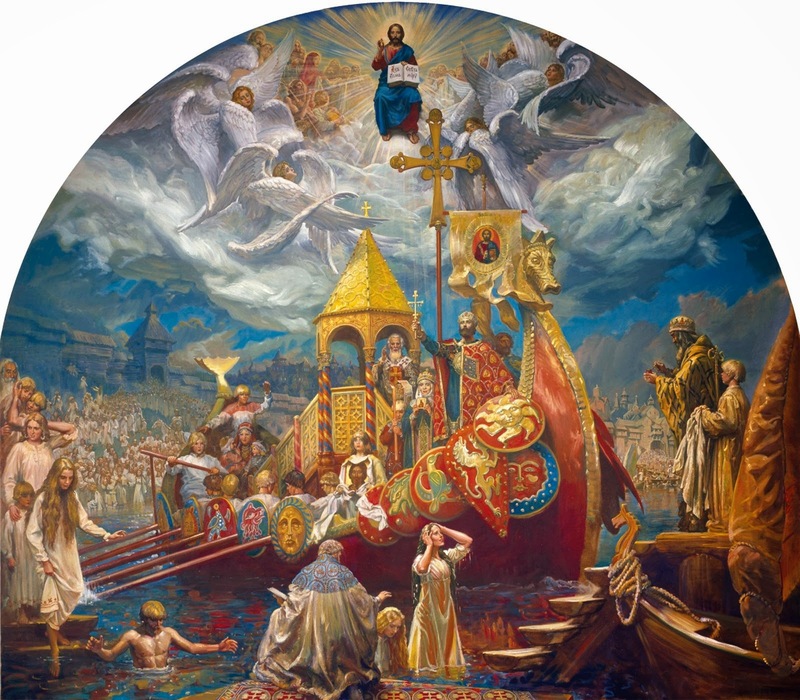 Were not the representatives of the Soviet Union present at Vatican II with a plan to get their clenched fist agenda implemented in a spiritual way with “human rights” and the “empowerment of the laity?” Maybe Pope John should have heeded those prophets that had been forecasting disaster. Popes Pius X, XI, and XII had all refrained from calling a council, fearing it would hatch the very problems we have today. But the pope somehow believed it was now time for a Council. However we have to remember that saints are not canonized for their smarts, talents, or administrative skills, but for their charity. And this, Pope John was loaded with. He was big hearted and wanted to extend the benevolence of God to all, and somehow was convinced that a united effort at the Vatican Council would avert the impending doom that hung over the world. Unfortunately his “virtuous fault” of refusing to see the evil in his fellow man blinded him to the reality of infiltrated Judases, and allowed these enemies to countermand and overrun him. Unfortunately this kind of talk made Vatican II progressives sick. The good pope didn’t realize he was going to get clobbered for this. The fact is that Pope John XXIII was viciously stabbed in the back by those he trusted. When they wanted their way with him they would crouch and kiss his ring, and in the next hour or minute they were plotting on how they would take Vatican II away from him. For instance Monsignor Bugnini, a notorious Freemason and sweet-talker, assured the pope that he was most committed to fostering a deepened love and appreciation for the liturgy. So the pope blindly entrusted to him the task of heading the new Preparatory Commission on the Liturgy that was established on June 6, 1960, believing that a deepened love for the old Mass would result from this. But what he failed to realize is that Bugnini and his cohorts were secretly at work drafting up a new Mass for the Church which they were determined to get passed at Vatican II. 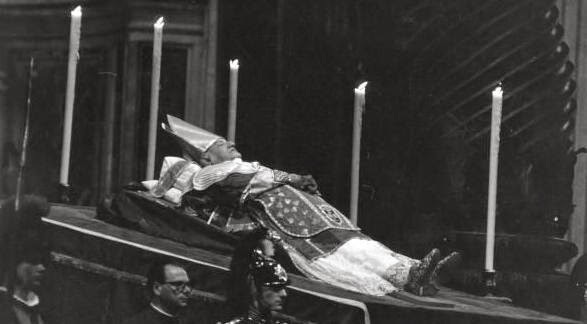 If it wasn’t bad enough that the good pope had to endure spiritual martyrdom from the devil and his agents, let us take a look at his actual death on June 3, 1963. The unofficial word is that Pope John XXIII was murdered. For when he began crying out from his deathbed to “Stop the Council,” his death suddenly ensued. Though he was ill with terminal cancer, he wasn’t supposed to die quite so soon. As they saw it, it was urgent that his outcry be silenced, so they gave him a little extra sedative to calm his nerves. We have to remember that euthanasia didn’t start with Obamacare, but existed in the hospitals even back then. Needless to say, John XXIII was persecuted and laid low. The allegations from the Sedevacantist camp that he was a Freemason display ignorance and have contributed to his martyrdom of spirit. It was the Freemasons that generated the revolt at Vatican II, but a key part of their plan was to hide and shift the blame onto the pope in order to sell their revolution and smear the pope’s reputation. Pseudo traditionalists by their detraction have effectively and unknowingly assisted the Masonic plan to discredit the papacy in these latter times. Are these the words of a Freemason, a Judas, a progressivist? Or are these rather the words of a saint? Would that the pope and bishops of today would speak this way! The Church’s mission for 2000 years has been precisely to bring this deposit of Faith to mankind so that, if it were possible, the entire earth would be enkindled with its flame. The Traditional Roman Faith is that sacred legacy which God originally intended as “the common heritage of mankind,” though the Reformation did much to destroy this ecclesial unity, as did its reemergence at Vatican II. As John XXIII is raised to the altars of Holy Mother the Church this April 27, 2014, let us be encouraged to assume a new perspective of holy pontiff whereby we cease from blaming him for all the problems that have ravaged the Church since Vatican II. He made some mistakes which he had to pay dearly for. May he now be rewarded for all the good he proposed and all the evil he endured. And especially, may we be resolved to assist him and his Maker in the cause of restoring the Holy Roman Catholic Church to its former glory. St. John XXIII, pray for us! Today is April 25, the Feast of St. Mark, and the Major Rogation. While no longer required after Vatican II, Rogation Days can still (and should) be observed by the faithful. I encourage my readers to observe these days. Fasting and penance were required, and the faithful would especially pray Litanies on this day. Not until relatively recently, it was a requirement that this day was kept with two conventual Masses where choral obligation existed. The first, post tertiam, was the festive Mass of St. Mark the Evangelist. The second post nonam was the more penitential Mass formula of Rogation tide. For those bound to the Divine Office, the Litany was mandatory today. "All we can do is worth nothing Unless God blesses the deed; Vainly we hope for the harvest-tide Till God gives life to the seed; Yet nearer and nearer draws the time, The time that shall surely be When the earth shall be filled with the glory of God As the waters cover the sea." Father: Praise the Lord; for He is good. Family: His mercy endures forever. Father: We beseech Thee, Almighty God, that because of our afflictions we may rely on Thy goodness, and with Thy protection may be defended against all adversities. Family: And I say to you; ask, and it shall be given to you; seek, and you shall find; knock, and it shall be opened to you. For everyone who asks, receives; and he who seeks, finds; and to him who knocks, it shall be opened. Alleluia. 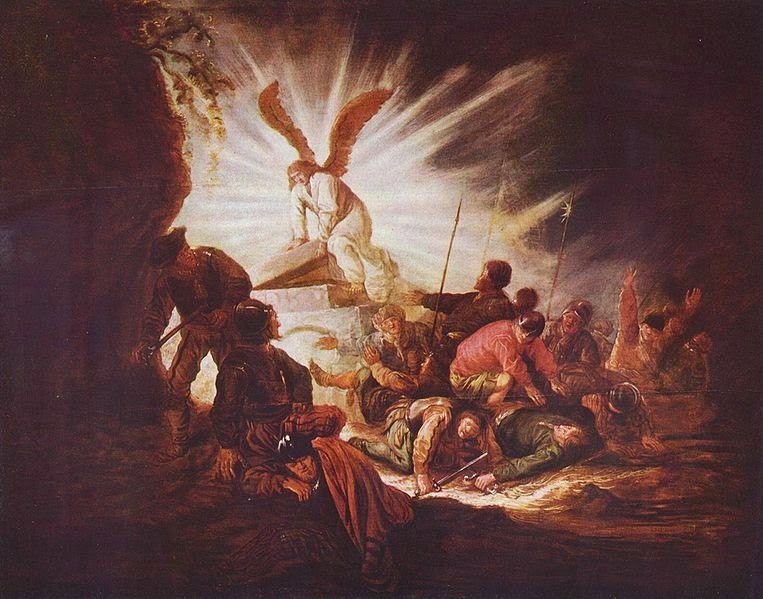 Exsultet of the Easter Vigil: O Blessed Night! O Happy Fault! This is the night in which, destroying the chains of death, Christ arose victorious from the grave. For it profited us not to be born, if it had not profited us to be redeemed... O truly blessed night, which alone deserved to know the time and hour when Christ rose again from the tomb! The Angelic Doctor, St. Thomas Aquinas, cited this line when he explained that the principle whereby "God allows evils to happen in order to bring a greater good therefrom" underlies the causal relation between original sin and the Divine Redeemer's Incarnation, thus concluding that a higher state is not inhibited by sin. St. Ambrose also speaks of the fortunate ruin of Adam in the Garden of Eden in that his sin brought more good to humanity than if he had stayed perfectly innocent. The events were incredible – in both aggressiveness and forgiveness (you can see this in the trailer). These events help explain many things that are happening in our world today. Powers in education and the media have scrubbed clean the French Revolution because they want to advance the same goal in America. The new fact now is that historians are finding that the French Revolution was guilty of genocide on the Vendeans. This will surely change many things in the public debate… But we must say it to a lot of people with the help of an attractive new film. If you feel that the defense of religious liberty is important, and you have an inkling that an attractive docudrama could be a wonderful tool in that defense, I would really appreciate it if you could make a small contribution. In so doing, you will become an associate to this production. This is a difficult month because I need to pay editors, music and graphics. I left my position as producer at the EWTN television network after 16 years to produce this show. Without help, the process will stop, and I will need to work on another production. Don't allow this to happen! – because I think that we hold something very precious here. 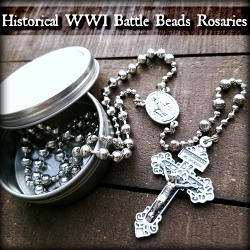 Please, help me create a docudrama in honor of all those faithful who died at the hands of the first atheistic state. In these video is the very interesting use of the Capirote. The Capirote is extremely foreign to Americans as its use by the anti-Catholic KKK has put the entire usage into negative light. The Capirote is simply a pointed hat that is used in Spainish culture during Holy Week. It is part of the uniform of some brotherhoods including the Nazarenos and "Phariseos." 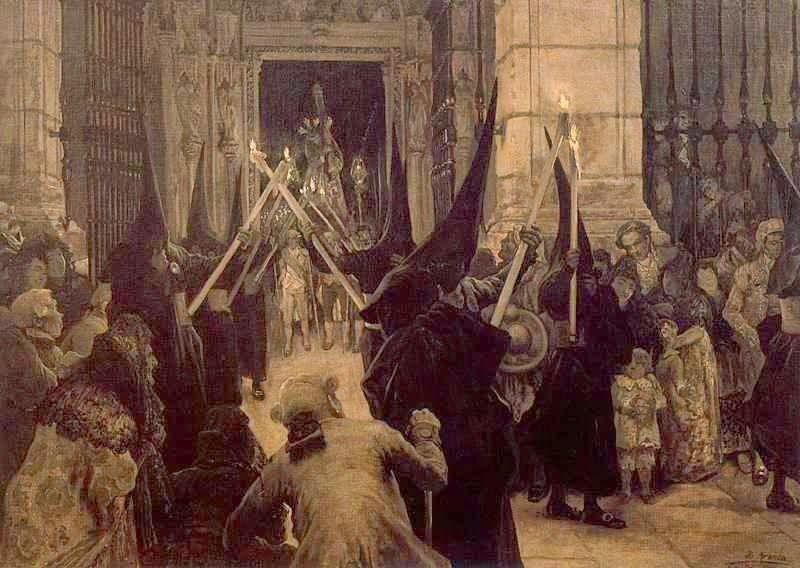 Traditionally, during the celebration of the Holy Week in Mediterranean countries, "Penitentes" (i.e. people doing penitance for their sins) would walk through streets with pointed hats. It was a way of self-injury; however, they covered their faces so they wouldn't be recognized. The entire article on Holy Week in Seville, Spain is well worth the read here. Today in the Eastern Rites of the Catholic Church is commemorated one of their most important feastdays in the year: Lazarus Saturday. This feast commemorates the great miracle of our Lord when he raised Lazarus from the dead after Lazarus had already been in the grave for four days. As Lent for the Eastern Catholics began a few days earlier than for Roman Catholics, Lazarus Saturday marks the end of Great Lent for them. Holy Week is a separate week of penance and fasting for them outside of the Great Lent of forty days of fasting and penitence. On Lazarus Saturday, the Church bears witness to the power of Christ over death and exalts Him as King before entering the most solemn week of the year, one that leads the faithful in remembrance of His suffering and death and concludes with the great and glorious Feast of Easter. During Friday vespers the reading of Genesis (which began on the first day of Great Lent) is concluded with the description of the death, burial and mourning of Jacob (Genesis 49:33-50:26) and on Friday night, at compline, a Canon on the Raising of Lazarus by Saint Andrew of Crete is sung; this is a rare full canon, having all nine canticles. The scripture readings and hymns for this day focus on the raising of Lazarus as a foreshadowing of the Resurrection of Christ and a prefiguring of the General Resurrection. The Gospel narrative is interpreted in the hymns as illustrating the two natures of Christ: his humanity in asking, "Where have ye laid him?" (John 11:34), and his divinity by commanding Lazarus to come forth from the dead (John 11:43). A number of the hymns, written in the first or second person, relate Lazarus' death, entombment and burial bonds symbolically to the individual's sinful state. Many of the resurrectional hymns of the normal Sunday service are sung while prayers for the departed, prescribed on Sundays, are permitted. During the divine liturgy, the baptismal hymn, "As many as have been baptized into Christ have put on Christ" (Romans 6:3) replaces the Trisagion indicating that this had been a day on which baptisms were performed  and in some churches nowadays adult converts are still baptized on this day. 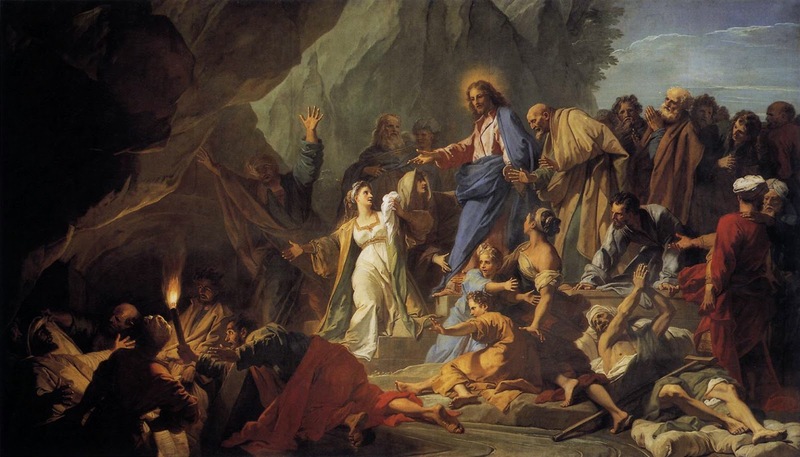 Lazarus Saturday is the day when, traditionally, hermits would leave their retreats in the wilderness to return to the monastery for the Holy Week services. Although the forty days of Great Lent end on Lazarus Friday, this day is still observed as a fast day; however, the fast is mitigated to allow consumption of caviar, eggs being a symbol of the resurrection and prominent on Pascha, and fish eggs being a shadow thereof show the raising of Lazarus as a foreshadowing of Christ's Resurrection, as elucidated in the propers of the day. 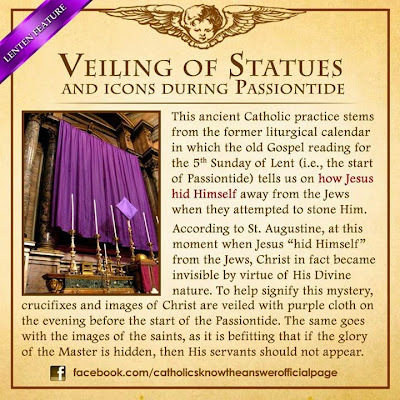 The antiquity of this commemoration is demonstrated by the homilies of St. John Chrysostom (349 - 407), St Augustine of Hippo Regia (354 - 430), and others. In the 7th and 8th centuries, special hymns and canons for the feast were written by St. Andrew of Crete, St. Cosmas of Maium and St. John Damascene, which are still sung to this day. One common tradition throughout Greece for the Saturday of Lazarus is the baking of Lazarakia. Lazarakia is a spice bread used to remember the miracle of Jesus raising Lazarus from the dead. It has many sweet spices in it and is Lenten, meaning it has no dairy or eggs in it. Lazarakia comes in the shape of a man (which is supposed to be Lazarus). There is a mouth and cloves for eyes. Unlike Tsoureki, Lazarakia is not brushed with egg or butter to give it a gloss finish (to not break the fast). One recipe can be found here. "If you don't make a Lazaro, you won't have your full of bread" (“Λάζαρο δεν πλάσεις, ψωμί δεν θα χορτάσεις”), is a saying among some Greeks. Lazarakia should look like the Lazarus in the icon of his resurrection, bound like a dead man with a shroud. Aged 87, he died on April 9 in a San Diego hospital. Born in 1927, Cardinal Delly was ordained to the priesthood in 1952 and the episcopate in 1963. In October 2003 he was elected patriarch of the Chaldean Catholic Church, and Pope Benedict XVI named him a cardinal in 2007. Today, April 10th, is an important day in my life. Today marks the 10th Anniversary of my Baptism at the Easter Vigil in 2004. As I reflect on these past 10 years, I look back on the many successes and the many shortcomings in my Faith life. I reflect on the nine years that A Catholic Life has been around and think of all of the people that I have met in the Faith along the way. Truly the day of my Baptism was my rebirth and the start of a new life. I would not be the person that I am today - by any stretch of the imagination - if April 10, 2004, did not happen. We all should be thankful for our Baptism. In a world that condemns God and rejects that which is holy, we have been called to holiness. We are a people marked aside for God. What would any of us be without the Faith? Do we know our Baptism anniversaries and celebrate them each year? Thank you for all of your support over these past 10 years. 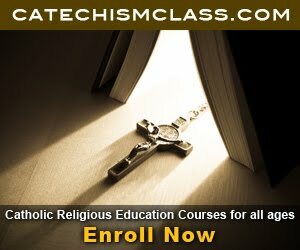 I pray that I will be involved in strong Catholic education for many more years to come on A Catholic Life, CatechismClass.com, Holy Vocations, and the many other venues that God will put in front of me during my remaining years on this year. Glory to Jesus Christ. Glory to Him Forever. 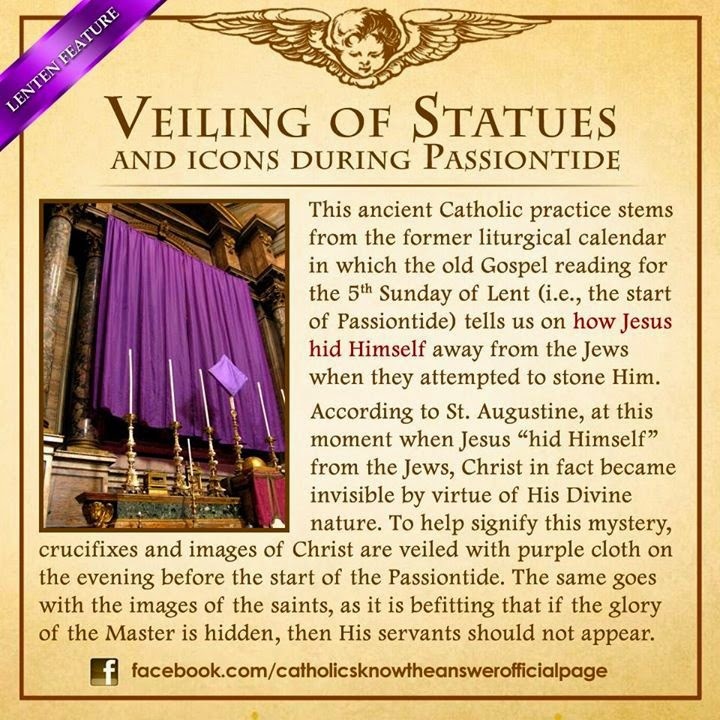 This week we observe the 5th Sunday in Lent (Passion Sunday in the 1962 Calendar). The primary theme surrounding our lesson for this week is on the Passion of our Lord and Savior Jesus Christ, who hast destroyed our deaths by His Sacrifice on the Tree of the Cross. 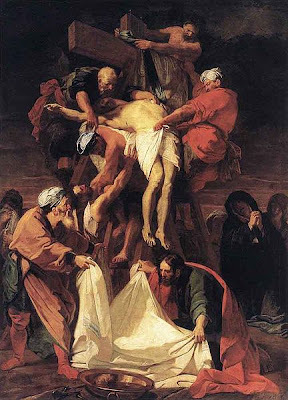 This Sunday, called Judica from the first word of the Introit, is also called Passion Sunday, because from this day the Church occupies herself exclusively with the contemplation of the passion and death of Christ. The pictures of Christ crucified are covered today in memory of his having hidden Himself from the Jews until His entrance into Jerusalem, no longer showing Himself in public. (John XI. 54.) In the Mass the Glory be to the Father, etc. is omitted, because in the person of Christ the Holy Trinity was dishonored. The psalm Judica is not said today, because on this day the high priests held council about our Lord, for which reason the Church in the name of the suffering Saviour uses these words at the Introit.